The Model GL24SRD SRD series of swing racks from Great Lakes is designed to provide a deeper 19" EIA 310-D compliant solution for the mounting of equipment in an area where physical security is not an issue. With a 180 degree positive stop and weight capacity of 100 lbs GL swing racks are designed in three heights (12RMU, 19 RMU & 26 RMU) with widths of 20.75". 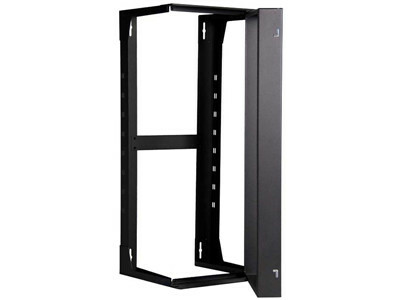 In addition to the standard depth of 18", this deeper swing rack provides an additional 6" of mounting depth to accommodate the evolving dimensions of rack mounted equipment. Swing racks are easy to assemble, easy to install and accommodate a variety of accessories.